“You know, the name of our company is Italian. Anello (ring in English) wants to mean the circularity, but also the bond as it is represented by the wedding ring”. It is very pleasant to talk with David Sudolsky, one of the entrepreneurs who is making the bioeconomy happen at global level. He co-founded Anellotech in 2008, secured the initial angel funding for the company, recruited the management team and scientific advisory board, and is leading the expansion of the company. The company based in New York develops a technology platform for producing petrochemicals and transportation fuels from renewable non-food biomass. Mr Sudolsky, could you explain to us what is the main business of Anellotech? Anellotech is a sustainable technology company pioneering a novel process for the innovative production of cost-competitive renewable chemicals and fuels from non-food biomass. Our Bio-TCat technology is for the production of bio-based BTX aromatics – a mix of benzene, toluene and xylene which are chemically identical to petroleum-based counterparts. BTX aromatics can be used in a range of chemical applications make commodity plastics such as polyester (PET), polystyrenes, polycarbonates, nylons and polyurethanes. These plastics are used to manufacture consumer goods such as beverage bottles, food packaging, clothing, footwear, carpeting, automotive and electronic components. BTX can also be used as a high octane, low RVP gasoline blendstock. Anellotech’stechnology also produces heavier aromatics, which can be readily upgraded in a refinery to make bio-jet of bio-diesel fuels to help decarbonise transportation fuels supply chains. How does your Bio-TCat process work? The Bio-TCat technology is an efficient thermal catalytic process which uses a one-reactor fluid bed conversion step jointly-developed with our R&D partners IFPEN and Johnson Matthey. It offers an economic, low-carbon footprint, reliable supply of BTX, consistent with industry norms. The patented process is currently being demonstrated using loblolly pine at our TCat-8® pilot plant in Silsbee, Texas. Bio-TCat can also use other readily available non-food inputs, which are renewable and less expensive than sugar as a feedstock. 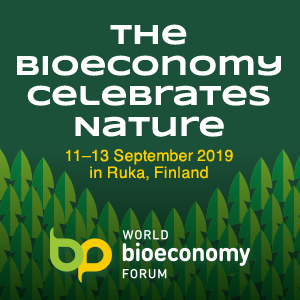 What is the bioeconomy from your point of view? As far as you’re concerned, is the future of the chemical industry bio-based? The bio-based economy is a real opportunity to enhance society’s renewable manufacturing and transportation base as well as its mainline consumer products by replacing petro-based products with more sustainable alternatives made from biological, renewable resources – while also bringing new and improved products to market. Anellotech believes the future of the chemical industry is in the bioeconomy. Climate change is an ever-present challenge and fossil fuel prices are on the rise again. Biochemicals are a more sustainable option for applications across a range of sectors and an increasing variety of stakeholders are seeing their benefits. We founded Anellotech to provide consumers and brand owners demanding more sustainable options with technology to make products from sustainable resources. Technologies like Anellotech’s Bio-TCat help chemical producers and brand owners meet environmental sustainability goals due to their low carbon footprint and its non-food biomass feedstock. For example, demand for PET in beverage bottles is set to rise (according to IHS Markit – over 5% per year over the next five years) and PET production is still overwhelmingly petro-based. Our collaboration with global beverage company Suntory on the commercialization of cost-competitive aromatics including bio-paraxylene – the key component needed to make 100% bio-based PET bottles – stands to disrupt petro-based dominance in this sector. This is a vision chased by many in the bio-based industries and, with Bio-TCat it is ever-closer to becoming reality. What do you think are the most important milestones the green chemical industry must achieve in the next 5 years? If this industry can ensure performance, delivery, economics and quality, the renewable chemicals sector will take bio-based chemicals into the mainstream, enhanced considerably by the accelerating consumer support for sustainable products. Collaboration is also key – Anellotech’s goal to create technology for 100% bio-based drop-in aromatic chemicals from non-food biomass is seen as a significant challenge to create an efficient, cost-competitive and scalable process. However, thanks to our strategic relationship with Suntory, and to our development and commercialization alliance with partners IFPEN and Axens, work is progressing on creating 100% bio-based PET bottles and the first shipment of BTX has now been sent for bio-paraxylene purification studies. This paraxylene will be used to make renewable PET resin for prototype bottle manufacture and product testing. We could not have done this on our own – the more that strategic alliances become a staple in the bio-based chemicals industry, the easier and faster it will be to develop viable bio-based chemicals (and biofuels) technologies and ultimately market presence. Bioeconomy and circular economy are two increasingly prevalent economic paradigms, but that public opinion still does not understand. 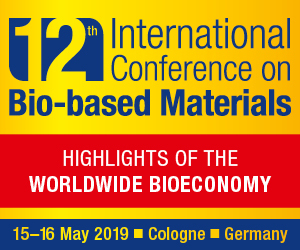 How can stakeholders and authorities better communicate the benefits of bio-based products compared to those of fossil origin? It’s important for the stakeholders in this sector to explain clearly what bio-based products are – there is still a lot of misunderstanding about the bioeconomy. Issues relating to feedstock, recyclability and biodegradability, performance, energy usage, cost, etc. should be as openly discussed as possible. At Anellotech, we also see Life-Cycle Analysis (LCA) as a credible way to assess the impact of bio-based products, as it demonstrates environmental sustainability, reduction in GHG emissions and the associated social and economic benefits compared to petro-based products. Our LCA with very positive results was independently reviewed by a well-respected refining technology expert Jacobs Engineering. Your partnership with Suntory is absolutely very strong. In 2015, Lego Group decided to invest in research and development to find new, sustainable materials for the production of its famous bricks and their packaging. Every year, more than 60 billion Lego bricks are produced around the world, using 6,000 tonnes of ABS (Acrylonitrile Butadiene Styrene), a polymer derived from fossil fuels – benzene and ethylene for the styrene, butane for the butadiene, and ammonia and propylene for the acrylonitrile. Do you think you could be a very strong partner for Lego as well? We’re delighted with our Suntory alliance, which has been going strong since 2012. As a company looking for long-term strategic relationships, brand owners like LEGO would be interesting partners for Anellotech. We are already working in collaboration with leaders in process development, catalysis, engineering design, and licensing across an entire supply chain from feedstock to end products. Biomass suppliers, chemicals and fuels manufacturers, brand owners and others are welcome to contact Anellotech to find out more. 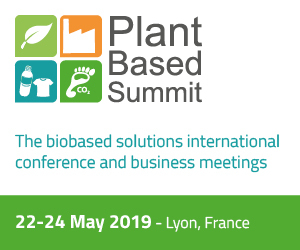 Partners would benefit from early access to cost-competitive bio-aromatics under preferential conditions which provide a competitive advantage. There is great potential for brand owners and manufacturers of food packaging, clothing, footwear, carpeting, automotive and electronic components to co-develop new bio-based polymers with Anellotech. With Suntory’s interest in bio-paraxylene, there is a complementary opportunity for companies interested in bio-benzene and its derivatives, such as ABS, linear alkyl benzene (LAB), styrene, and nylon. Additionally, Anellotech is open to dialog with a partner that owns an existing operating plant to co-locate the first commercial Bio-TCat process plant. What are the next steps your company is planning to take? Our TCat-8® pilot plant in Silsbee, Texas, is generating scale data for the Bio-TCat process, as we advance towards commercial-scale plant designs. We are also focused on process optimization, validation of process economics, undertaking catalyst studies and selecting and testing a second feedstock to use at our pilot plant. Anellotech wants to develop its strategic alliances and to license Bio-TCat to companies who want to capitalise on the improved sustainability and competiveness of the process technology to build and operate commercial plants.